Symptoms of nerve damage may include pain, tingling, burning and loss of sensation. Acupuncture has been the subject of several recent scientific studies on nerve regeneration, and has been shown to be effective in repairing damaged nerves. Nerve damage can result from a variety of causes, including injuries, infections, and exposure to toxins, according to MayoClinic.com. Symptoms of nerve damage may include pain, tingling, burning and loss of sensation. Acupuncture has been the subject of several recent scientific studies on nerve regeneration, and has been shown to be effective in repairing damaged nerves. Before visiting an acupuncturist, discuss it with your doctor to ensure proper care. Acupuncture has been practiced within the framework of traditional Chinese medicine, or TCM, for thousands of years. In TCM, it is thought that illness is the result of imbalances in the body’s energy flow. 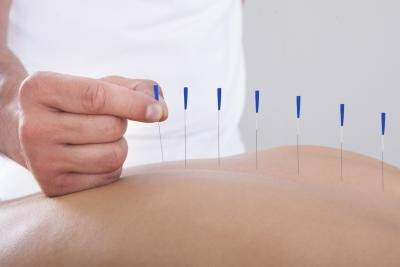 Acupuncture treatments involve the insertion of small, thin needles into the skin at specific acupuncture points in order to rebalance energy and restore the body to health. Today, thousands of physicians, dentists, and licensed acupuncturists practice acupuncture in the United States. In a 2009 study published in the European Journal of Neurology, researchers found that acupuncture provided immediate symptom relief for patients with peripheral neuropathy, a condition resulting from nerve damage. In this study, the patients received traditional Chinese acupuncture. After a consultation with an acupuncturist, each patient began an individualized treatment plan, receiving acupuncture at different points as determined by the practitioner. In addition to symptom relief, acupuncture patients showed improved nerve conduction over the course of the 10-week study, leading the authors of the study to speculate that acupuncture caused the nerves to regenerate. While peripheral neuropathy affects the nerves in the extremities, damage to the nerve fibers of the spinal cord can cause paralysis. According to a study published in “Experimental and Toxicologic Pathology” in 2011, electro-acupuncture was effective for regenerating nerve cells in rats who had experienced spinal cord injuries. The researchers reported that electro-acupuncture, used in conjunction with other therapies, was effective in restoring partial function to paralyzed limbs in the injured rats. Acupuncture is generally accepted as safe, with less risk than many conventional medical treatments. When acupuncture is practiced without sufficient training, however, serious complications can result. Electro-acupuncture should not be used on certain patients, including those with pacemakers, or a history of heart disease, stroke, epilepsy or seizures. The National Center for Complementary and Alternative Medicine recommends checking your acupuncturist’s credentials before receiving acupuncture, to ensure that the practitioner is qualified.